Meet Nancy Bruns, CEO of West Virginia-based J.Q. 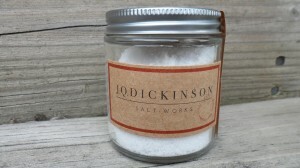 Dickinson Salt-Works and new member of Chefs Collaborative. Learn more about Nancy & how salt is produced (sustainably). Tell us about yourself! What is your history with the sustainable food world? I have been involved in many aspects of the food industry for about 25 years. I owned a restaurant and catering business in the mountains of North Carolina for 10 years. During that period I became increasingly aware of the importance of supporting independent producers whose success is dependent on sustainability. I always looked forward to the local growing season and having people come to the back door of the restaurant with their produce. Learning about their practices was fascinating to me and their products were outstanding. We tried to be very aware of how our other products were sourced as well, especially seafood. Why did you start JQD? My ancestors were salt-makers. They came to this area in 1813 because of the natural brine springs. They saw an opportunity and started an enterprise that lasted more than 150 years. When we sold our restaurant a few years ago I started to search for another meaningful outlet for my skills. I have been interested in the different varieties of salt from different areas of the world for a while. The range of flavors, textures and crystal sizes is incredible. My husband, an American Historian and former chef, has done quite a bit of research on the history of this essential mineral. When his research crossed into my family history a light bulb went on in my head. I saw an opportunity that wasn’t being fulfilled in the mid-Atlantic and southeast. There are very few domestic producers of all-natural salt. Japan has more than 750 producers. We have a handful, yet we have chefs and consumers who have great interest in sourcing ingredients from sustainable producers. I did a lot of research. Once I felt comfortable that we had a good potential market I called my brother to see if he was interested in partnering with me in the new venture. He has a great love of food and the land. I knew he would be a good addition. It also made sense to revive the family business with another family member. We are making the salt on our family land, where our ancestors made salt for so many years. How do you make your salt? It was important to me to make it using sustainable practices. We have a water well that is tapped into the brine strata about 350 feet underground. We pump the brine to the surface and let it settle in a holding tank. Over time is clarifies itself. We then gravitationally feed it into greenhouses where it evaporates and crystallizes. We are at the whims of the sun and mountain breezes. In the summer it takes about 4 weeks from brine to crystal. In the winter it can take up to 3 months. To me, sustainability is simple. It means not depleting a resource. We are stewards of our earth for future generations. We have to protect it and its resources as much as we can. Chefs are in a unique position to be educators to consumers by the examples they are setting in their approach to cooking and the food system as a whole. Chefs in restaurants come in contact with lots of people on a daily basis. Chefs can help change the world, one meal at a time, by modeling their sourcing practices. Customers pay attention. It’s an important classroom. Being a former restaurant owner and now a sustainable producer I feel our business is a great fit for Chefs Collaborative. I also like supporting the mission. It is important to us and the world. We want our consumers to learn about sustainability in the food system as well. Part of our mission at J.Q. 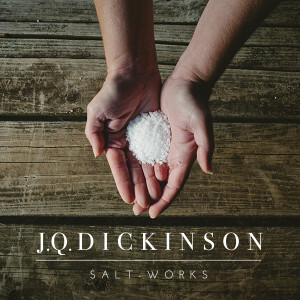 Dickinson Salt-Works is to promote healthier eating. Chefs Collaborative is a great resource for eating responsibly and thinking locally. It’s a win-win for everyone. Thank you for what you are doing! Learn more about J.Q.D. at their website and follow them on Facebook & Twitter.